Which I why I love Sugru. It’s a self-setting rubber that you just roll between your fingers like Silly Putty and let it dry overnight. Their website boasts all sorts of magical and useful tricks, like making rubber feet, comfort handles for your faucet, pulls for your zippers, repairs on your dishwasher. You can open up a few packets and wrap it around a ski pole, then grasp it firmly and TA DAH! A custom ski pole handle. Honestly, the only thing I’ve used it for is fixing those damn iPhone charger cables. Firstly because if it fixes that and only that then it’s a winner in my book. Secondly because I put the remaining multipack someplace so special and secret that it has apparently left the mortal realm. But back to what it can do for your idiot phone charger. When my cable insulation started to split we pulled open a little packet of magic stuff, rolled it into shape and mooshed it on. 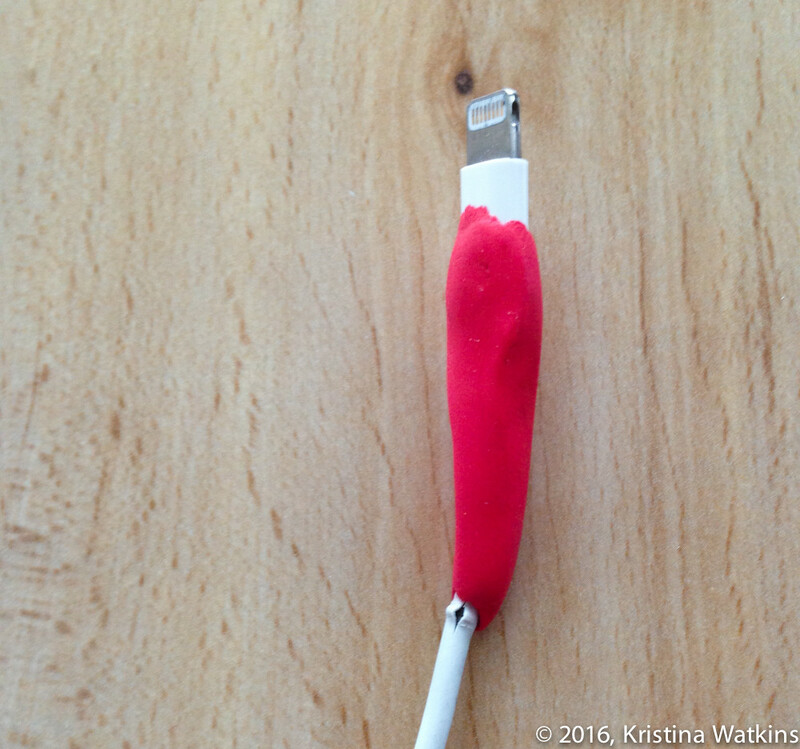 We applied our Sugru patch almost a year ago and what would have been another trashed lightning cable became good as new. 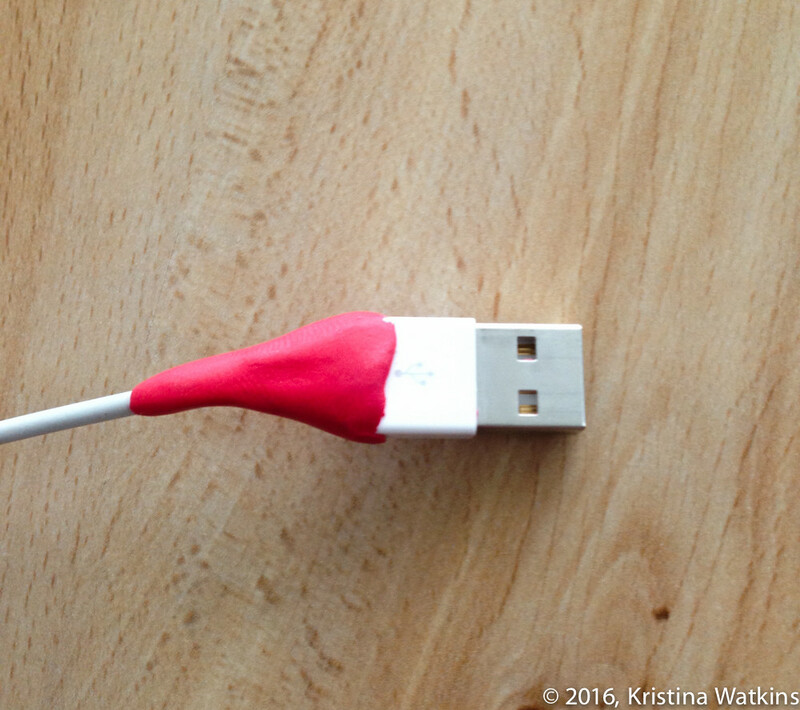 So when a new split started to emerge below the Sugru patch, I was disappointed but mostly grateful that I’d bought myself so many more months out of the cord. And I’m sure I can just apply another patch below the first one and it’ll work just fine. Now if I could just find the rest of the multipack I’d be in business again. *This post features affiliate links; please see below for the Affiliate Links Disclaimer.